It’s simply sensational. The Hahnenkamm Races will be broadcast live all over the world this weekend. The live transmission will reach different continents via different broadcasters, including CCTV, JSports, NBC, CBC, Supersport, EDGE, ESPN, Sport 24, EBU Member and Eurosport. The Races will be shown in Europe, Asia, USA, Canada, Australia and South Africa, ensuring that viewers all over the world can experience the thrill of the 79th Hahnenkamm Races. 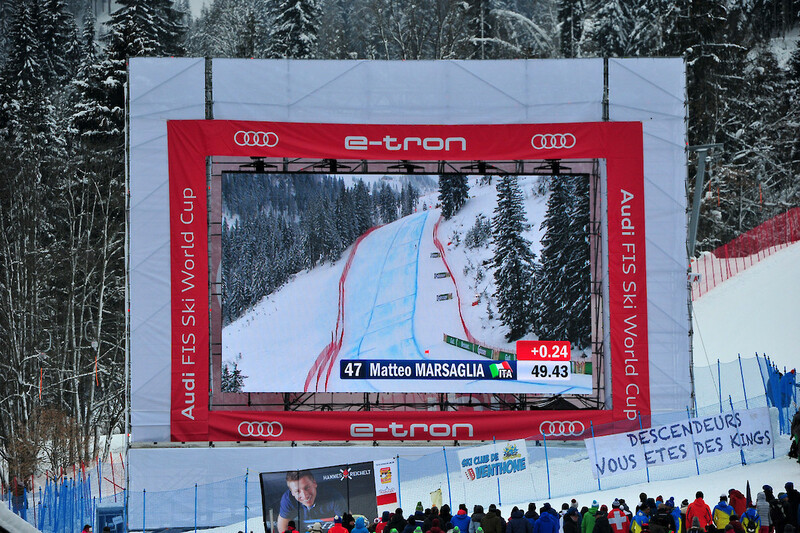 Furthermore, SNTV, Deutsche Welle, CNN and Transworld Sports will feature highlights from the Races. These broadcasters will be transmitting globally. The broadcasters Search of Speed and HBO will also report on the Hahnenkamm Weekend in a series of documentaries. The following international TV stations are broadcasting on-site from the races. ARD, BBC, Canal+, CNN, Eurosport, FIYLE,HRT, InfoNetwork, Infront, NBC, NRK, OE24, ORF, RAI, RAI Südtirol, Red Bull TV, RSI, RTS, RTV Slovenien, Servus-TV, Sky, Sportal Group, SRF, SVT, TeleZüri, TV2 Norwegen and ZDF.